Timless flat with modern update. Ballet inspired ribbon front. .2 inch "Taryn Rose was founded by orthopedic surgeon and footwear designer, Dr. Taryn Rose. By combining her orthopedicexpertise with beautiful textiles, materials and amazing footwear designs, Dr. Taryn Rose reinvented the footwear industry by offering beautiful footwear silhouettes that are functional, comfortable and beyond stylish. In our store you will find the latest Taryn rose footwear styles spanning from metallic flats, comfortable dress pumps to wear from day to evening, pretty high heel sandals, chic flats to complement your casual jeans and t-shirt outfits and flat leather sandals that will take you from Spring to Summer in a fashionable way. Here you will find a huge collection of Taryn Rose shoes in every color, print, textile, size and width to wear with any outfit for every occasion. / Buy with confidence! 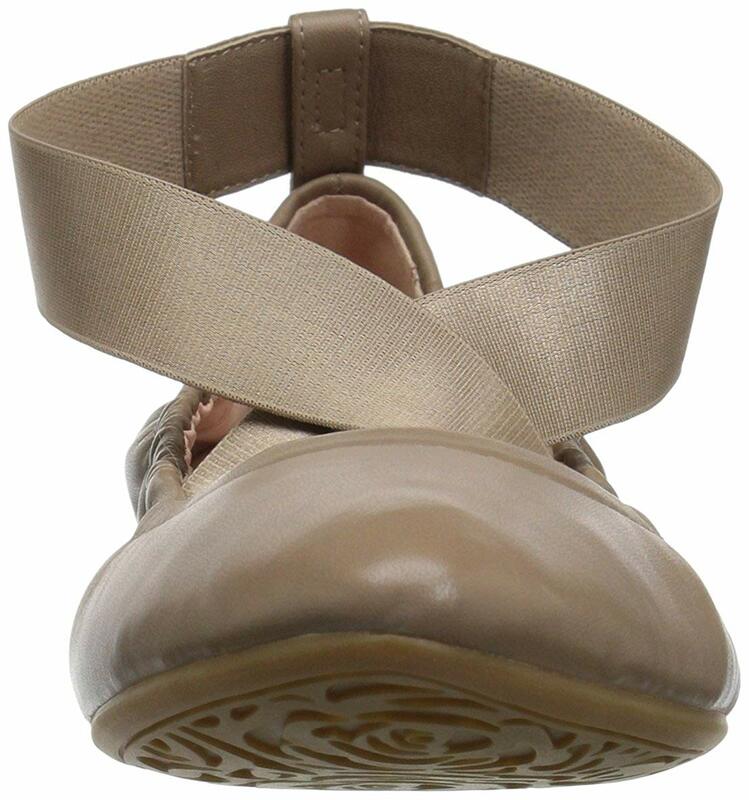 Taryn Rose Womens footwear would make a great addition to your shoe collection!